After brushing your teeth, you may become alarmed to see blood in your bathroom sink. However, there’s no need for you to panic. All you need to do is schedule an appointment with your dentist. 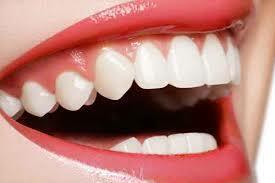 Usually, gums bleed because something aggravates them. There are some common reasons that cause the gums to get irritated and start bleeding. This is the most common reason why gums start bleeding. If you don’t brush or floss your teeth regularly, there is a good amount of chance the bacteria will build up around your teeth. When proper cleaning is not observed, the film of bacteria turns into plaques and settles around the gum line of your teeth. As the bacteria grow more and more, they start to irritate your gums and eventually cause Gingivitis. The most common symptom of bleeding gums is Gingivitis. Other symptoms of Gingivitis include bad breath, red gums, and sensitive gums. The good news is, gum disease at this stage is reversible. All you need to do is visit your dentist. With a simple scaling and polishing procedure, your dentist will scrape away all the plaque and bacteria from your mouth. Now it is up to you to ensure you regularly brush and floss your teeth to prevent the bacteria from growing. If gingivitis is left untreated, it will start to get worse and sooner or later, your gums will start to recede from your teeth. This will leave a space for the bacteria to move into the tissues underneath your teeth, making it difficult to treat. The longer the bacteria stays in the tissues, the more your dental health will worsen. That is why it is strongly recommended to go to your dentist for a checkup if your gums are bleeding regularly. Without delaying or procrastinating, make an appointment with your dentist. In the case where you have flossed or brushed your teeth and your gums are still bleeding, it is a good idea to see your dentist. If you are suffering from any such conditions, its better you give your dentist a visit before the chances of aggravating your bleeding gums become much worse. Make sure you pay close attention and regularly check your gums for any possible signs of gingivitis or bleeding gums. After all, prevention is much better than cure. The sooner you visit your dentist, the more likely your gum disease and problems will be treated and eventually, cured.